Perhaps I’ve been reading far too much literature on postmodern theology and thought by the likes of Stan Grenz and Brian McLaren with complimentary reading by Leslie Newbegin but what has been tickling my brain lately is the theology of Dean Koontz. I learned years ago that cultures’ beliefs are far more prevalent in their fictional/mythological literature than in their text books. Indeed, text books lag behind the theology, thoughts and beliefs of the people by as much as a decade. You have but to read the texts burning up the book club circuit to see what people really believe and embrace. Koontz turns out novel after novel, astounding to people like me who can barely conscieve and construct a cohesive short story. Across the board there is a mystical, metaphysical theology that permeates his texts. His books seem to embrace three components with regularity. First, there is an unlikely hero with a sixth sense or unusual gift. Secondly, there is an amazing prevalence of evil whose presence is made palatable by Koontz’s descriptive narrative. Lastly there is the necessity for the hero, to prevail, to be willing to be completely self-giving to overcome unimaginable circumstances. From the redeemed Frankenstein monster to the child who intentionally shifts from one reality to another to avoid raindrops to the quirky frycook who sees dead people, Koontz’s heroes posses something beyond the norm. They often seem normal or only mildly odd to the casual observer, but there is a secret that haunts their existence. There is an aura of unfulfilled destiny that haunts their waking dreams. The heroes also have the essence of a divine spark that the narrative often indicates lies dormant in most of us. The allusion to the “imageo dei” seems to resonate for him as he writes. Many of the supporting characters also seem to carry the spark of God but it is not as fully embraced as the hero of his works. Regarding evil, it seems to ooze around the narrative like dense smoke. The closer to resolution that the characters get the more dense the fog of futility and evil becomes. In Odd Thomas it even takes the form of nearly opaque shadows that attempt to impede the hero from fulfilling his destiny. This evil seems to indicate an other worldly essence that is striving against the divine spark within the hero. The real power of Koontz’s description of evil is that it is disturbingly familiar. Lastly, to sieze their divine destiny a willingness to be absolutely self-giving is demanded. They must be willing to give themselves away to achieve a greater good. The good that is achieved only comes after demanding struggle that always has a price. There is a presence of loss that makes the narratives seem real rather than the “happily ever after” works that lack the connection with life that makes them believable. The theology that seems to seep from these texts is a theology that embraces mystery. There is more that can be seen or known but that must be embraced to fulfill your God-shaped destiny. There are pressing, unanswered questions of God. There is the realization that there is something beyond this trifling existence. There is a desire to bridge the gap between experience and intellect. Lastly, there is an intense seeking to understand the unknowable. 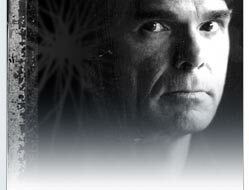 PS: visit www.deankoontz.com to see samples of his work.